Owning a tiny home typically means owning a trailer. Just like when talking about tiny homes, the language around trailers can be confusing. What is the difference between a flat deck and a gooseneck? How do I know which trailer is right for me? We’ll get there. For now, let’s start with the (not so obvious) basics—what is a trailer? 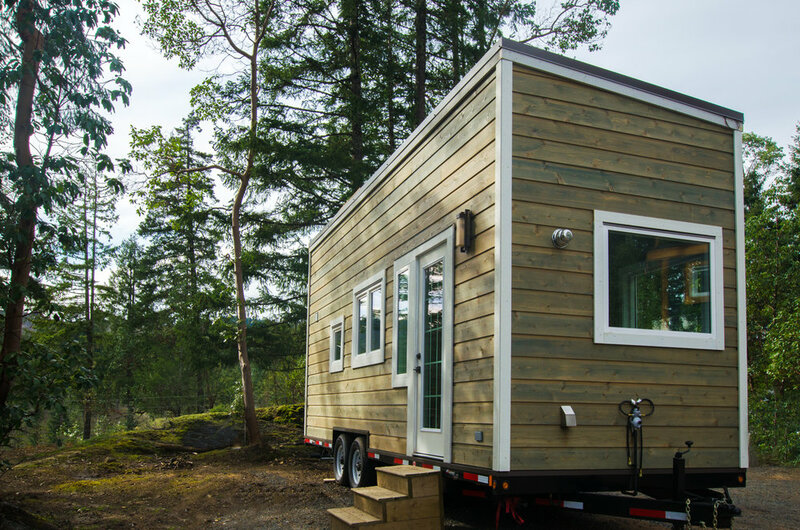 A trailer is what allows your tiny home to be portable. In this context, in the most simple of terms, a trailer is a flat deck with wheels. As its name suggests, a flat deck is the floor-like part of the trailer. 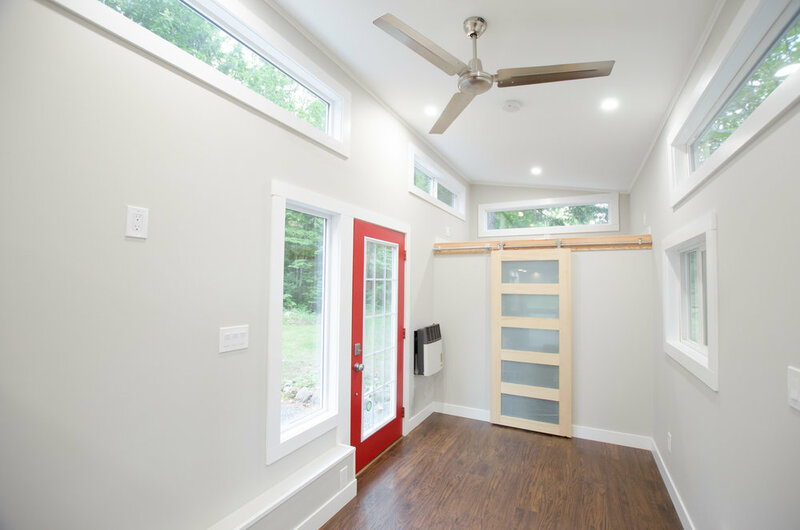 Tiny homes are often built directly onto a flat deck in such a way that they cannot be detached. 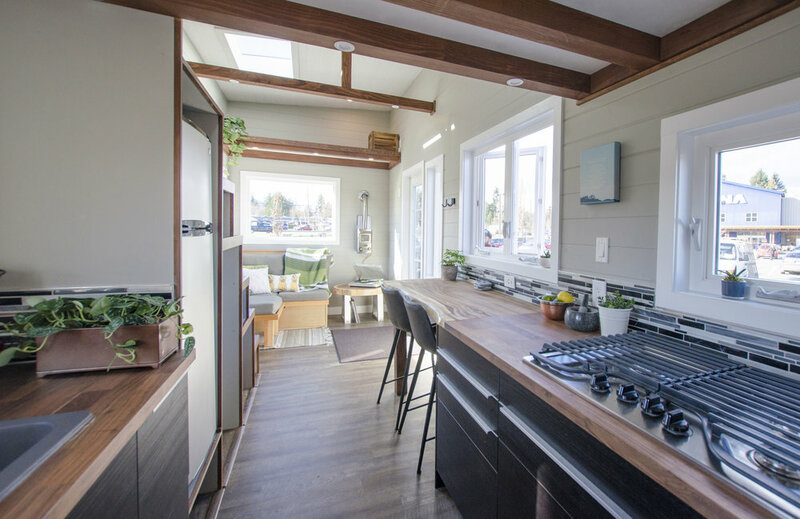 Of course, tiny homes can also be designed to sit on a foundation, in which case, a trailer is only involved in transporting the home from a build site to its intended location. The distinguishing feature between common trailer types is how they are attached, (or, more accurately, hitched) to a towing vehicle. Tiny homes are commonly built on one of two trailers types: a bumper pull or a gooseneck. In a bumper pull scenario, the trailer is not actually attached to the bumper of a vehicle. (Confusing, I know). It’s attached to something called a ball hitch. You have probably seen a ball hitch sticking out of the back of a pick-up truck or SUV. It looks like a little tail capped with a clown nose. A ball hitch is secured to a vehicle’s chassis, which is another technical term that refers to the vehicle’s internal skeleton. In summary, a bumper pull trailer is attached to a ball hitch, which is fixed to a vehicle’s chassis, allowing you to tow your tiny home with relative ease. Gooseneck trailers get their name from their shape, wherein the front end careens up and over like the head of a goose. Unlike a bumper pull, a gooseneck cannot be attached to any vehicle. They are designed with a kind of ball hitch that can only be secured to the bed of a pickup truck. This is also why gooseneck trailers are easily confused with fifth wheels. Both trailer types attach to the bed of pickup trucks, but fifth wheels use a more complex hitch system. When it comes to tiny homes, bumper pull and gooseneck trailers offer different advantages. Gooseneck trailers are generally more secure and can bear more weight. Their unique shape also allows for an extra loft space in your tiny home. If you own your own truck, or are planning to move frequently, a tiny home built on a gooseneck trailer may be the better option for you. On the other hand, tiny homes built on bumper pull trailers more closely resemble traditional home exteriors and may be a better option if you have a set location for your tiny home. Bumper pull trailers are also the more common trailer type and finding a truck that can tow a bumper pull may be easier than finding a truck with a gooseneck hitch. It is important to do your research before deciding on a trailer style and moving forward with building your tiny home. Some questions to consider are: how often do I plan to move my tiny home? What is the combined weight of my trailer and home? Do I have access to a truck and a hitch that are properly rated to safely transport my tiny home? Check back for my next blog post where I will delve further into these questions and the impact of trailer types on home design.